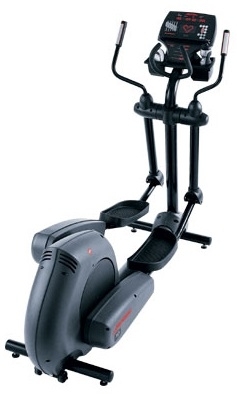 The Life Fitness 91X Elliptical cross-trainer is one of the industry’s smoothest total-body cardiovascular machines. Built for comfort, the 91X offers over-sized non-slip pedals and static support handlebars. Other features include a variety of workouts, on the fly programming changes and rear wheels for easy mobility. And because the machine is powered by your movement, you can place the energy-efficient 91X cross-trainer anywhere in you like, with no electrical cords or outlets to consider.